The model - this model appeared in Corgi's 'The Original Omnibus Company' July - December 1997 catalogue and is shown as carrying 'Network 26' branding. 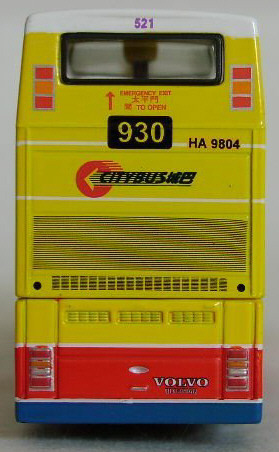 The release of the model was delayed until June 1998, by which the 'standard' Citybus livery had been chosen in preference to 'Network 26'. Again, the scale length of 11 metres is incorrect. Peter Harrison has kindly sent me details, including the scanned image shown above, of his weekend acquistion at a swapmeet in the West Country. 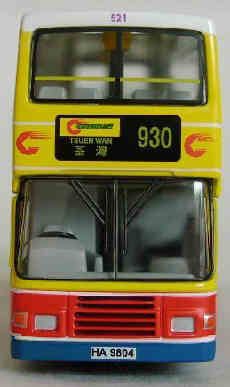 It features Corgi's Leyland Olympian (43205) in the standard Citybus livery, but with an additional Dragon motif added to both the nearside and offside. The Dragon motif is that applied to the nearside of Corgi's Volvo Olympian (43222), the KMB Dragon Boat Festival model. In all other respects, it is a standard issue of 43205, the certificate being the same. Has anyone else come across this variation, or can anyone shed any further light on this subject? The bus - The Olympian has been part of the Citybus fleet since 1985, when Citybus purchased its first air-conditioned double-deck bus. Since then, over 500 Olympians have been purchased, all of which are air-conditioned. There are three variations in length, with the 12 metre version being the current Citybus standard. These buses work on a wide variety of routes in the territory, including high frequency local routes and longer distance express routes. 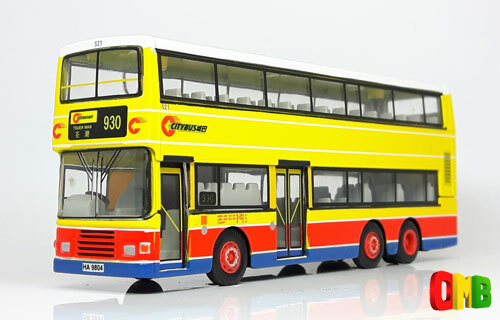 Route 930, featured on this model, was one of the first to operate the new Western Harbour Crossing and now carries almost 300,000 passengers per month. Date released June 1998 ?